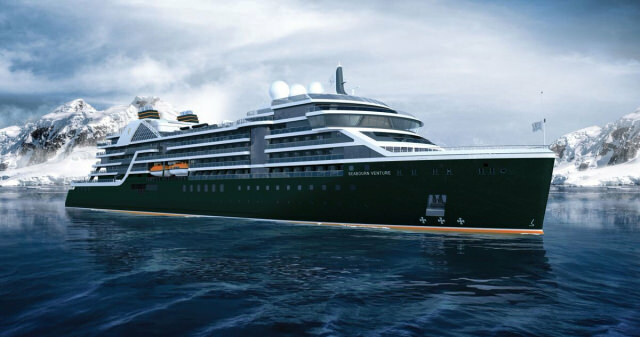 Seabourn has given the first glimpse of select public spaces on its two new ultra-luxury purpose-built expedition ships set to launch in June 2021 and May 2022. 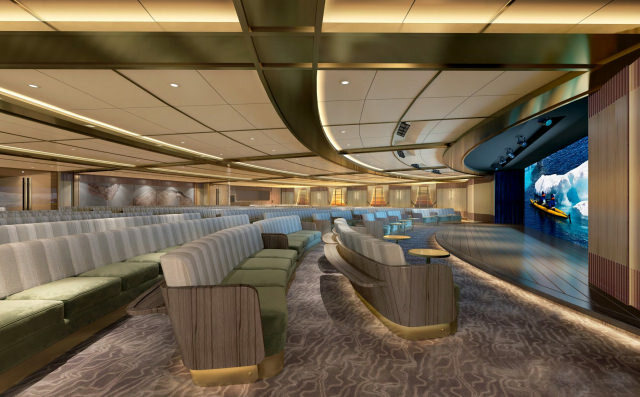 The work of Adam D. Tihany, the Expedition Lounge, Discovery Center, Landing Zone, and Atrium will act as the communal hubs on Seabourn Venture and another yet-to-be-named sister ship. 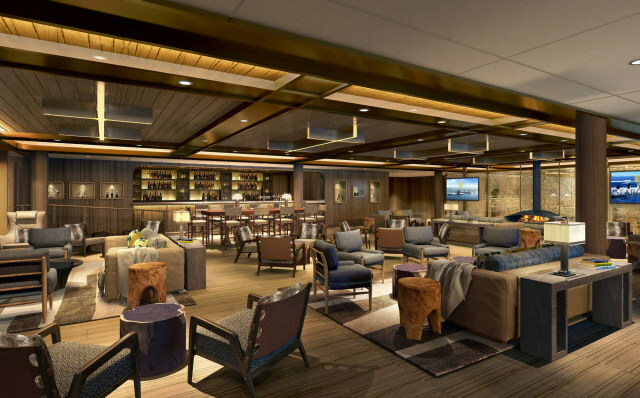 The Expedition Lounge, located on Deck 4, is the heart of the ship. 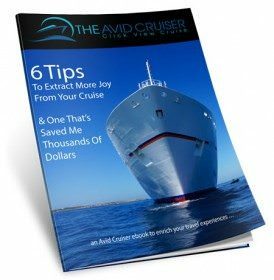 A gathering place for the curious, guests are invited to relax or linger with a complimentary cocktail or glass of wine from the bar as they share photos and stories from the day with their fellow travelers and the onboard staff. The Expedition Lounge will be central to the Seabourn expedition operation where guests convene before and after expeditions each day. An ode to the adventurous, the Expedition Lounge features an etched glass partition displaying a vintage map of Antarctica and vitrines showcasing intricate tools and devices of the trade. Two large touchscreens will also display a wealth of information including photos, navigational charts, weather charts, and maps. The Discovery Center, which is adjacent to the Expedition Lounge on Deck 4, acts as the teaching and academic center for natural history and cultural programming. 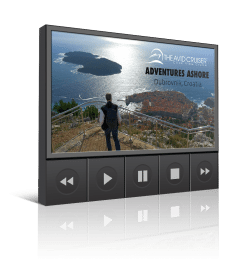 Each day, guests will visit this venue for lectures, briefings, and Seabourn Conversations enrichment programming designed to help educate them throughout their expedition experience. The 26-person expedition team of wilderness experts, scientists, historians, and naturalists will deliver lectures and discussions on a broad array of topics related to the region where guests are sailing. Inspired by the landscape of some of the expedition destinations, the Discovery Center incorporates the organic shapes of topography maps against the elegant curves of the plush custom seating. Audio-visual experiences will come to life through high-definition screens 2.5 meters high by 10 meters wide, showing a variety of programming to create a captivating experience that whets the appetite and creates excitement for each destination. Footage from daily submarine voyages will also be shown, providing a look at the undersea world and the marine life that calls it home. The launch and recovery point for landings, each of the two Landing Zones – Port & Starboard, both located on Deck 3 – allow guests to change and clean their gear while also providing space to store their rubber boots. 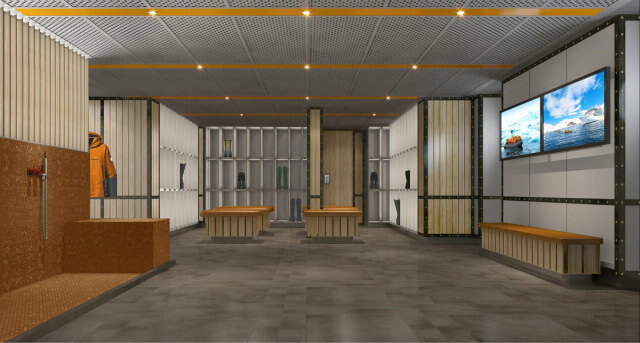 The Landing Zone, commonly known as a mudroom, has been designed for functionality and accessibility with a durable material palette and optimum location on the ship to allow guests direct access to one of the 24 Zodiacs available for off-ship adventures. In tropical areas, the Landing Zones will also be used for snorkeling and similar activities, with storage space for fins and masks. Guests will move through the two Landing Zones in small groups distributed evenly to keep waiting time and crowding to a minimum for excursion departures. From the Landing Zones, the staff will guide guests down one flight of stairs to Deck 2, where guests step directly from the ship into the Zodiacs to head off across the water or onward to a landing point ashore. The Atrium is a focal point on all Seabourn ships with its winding staircase. 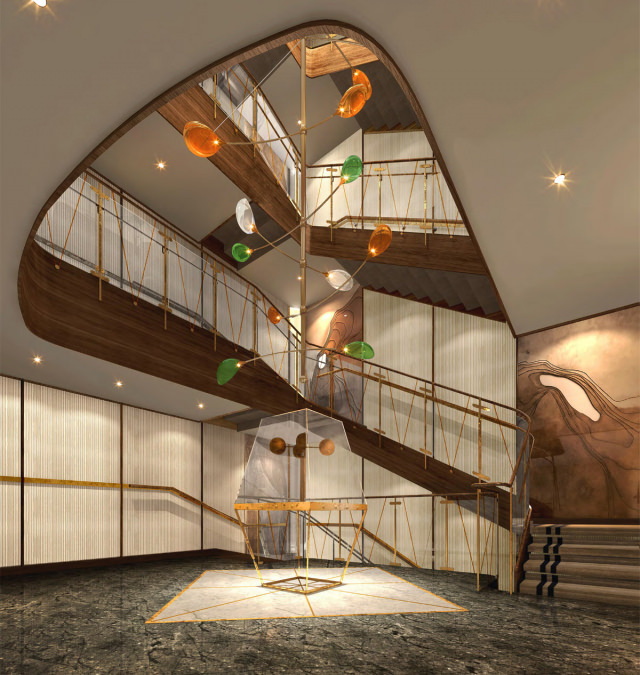 On Seabourn’s expedition ships, the sky lit space will continue the wood and metal detailing present throughout the ship with details such as ropework in place of more traditional spindles and a topography inspired wall treatment. Suspended at the center of the Atrium and echoed again at its base is an art display emulating traditional wind measuring instruments.